DJ and Visual Artist at Echo House. DJ Cadybug has been spinning in the Charlottesville area for nearly 10-years. Getting her start as one of Random Riot's house DJs, she plays an eclectic mix of pop, trip-hop, ethereal, synth-pop, world, and EDM. She was also a reqular guest DJ at Umlaut, the local goth/industrial dance night at Rapture. 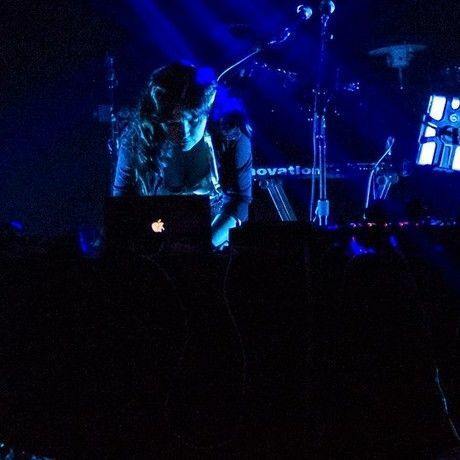 Along with spinning club nights and events she hosted Subculture Shock, Central Virginia’s premiere goth/industrial radio show, on WNRN for 5 years. She has opened for such bands as Ego Likeness, Hanzel und Gretyl, Ships in the Night, Lauren Hoffman & the Secret Storm, and Shagwuf. She is presently the house DJ and Director of Untz for CLAW (Charlottesville Lady Arm Wrestling). Her true passion lies in blending the obvious and the occult for a singular, dancy mix. Arcadia hasn't saved anything yet.